We need TWO North Jersey classmates to "CO-CHAIR" as well as assistants to help make the 2020 REUNION our best ever. This June, I will be in Connecticut FOR ABOUT 10 DAYS, and I can meet with co-chairs and assistants to begin talking about making arrangements and promoting the event." 60th Reunion in 2020? We still need a person or group of people to lead the effort. So far, nobody has stepped forward. There is a survey posted on this website where you can let us know your thoughts about attending. It takes only a few minutes. We hope to hear from as many classmates as possible so we'll have an idea about how to move forward. If you've already completed the survey, THANK YOU! If you haven't, just click on "2020 Reunion Survey" -- 3rd item from the top in the blue sidebar on this page. MANY THANKS! Welcome to the MHS '60 Website! Thank you for the articles, Ed. Sad news about Edie Black. A notice was posted on the Growin' Up in Montclair Facebook page on March 21 from Edie's brother Charlie Black. Forwarded by John Sproston. To the class of 1960: It is with great sadness that I report that my sister, your classmate, Edie Black, died last night as the result of complications from pancreatic cancer. According to her husband, Fred, she passed quickly and without much pain. They had spent the last week in Mexico watching whales migrate among other things. It’s nice to think that she spent at least part of her last days in her happy place. Karen Thorward Hayes sends news and updated contact information. My husband and I moved from Trumbull, CT, to St. John's County in Florida in January 2015. Our home is located slightly northwest of the city of St. Augustine, known as the oldest city in the United States. It was founded in 1565 by Spanish admiral, Pedro Menendez de Aviles. St. Augustine is a small city of approximately 14,000 residents and is mainly a tourist destination. The city is located on the Mantanzas River near its outlet to the Atlantic Ocean. We can drive to the center of the city in ten minutes or to Vilano Beach in fifteen minutes. All of St. John's County is growing rapidly as retirees from the Northeast are moving south to escape the cold weather and high taxes. We also moved here because our son and his wife live in Palm Beach County and four grown grandchildren also live in the state. My daughter and her two grown children live near Burlington, VT. I joined the St. Augustine branch of the American Association of University Women. We advocate for women's issues such as equal pay for women, encourage girls to consider careers in the sciences, technology, math or sciences and raise money for women to attend higher education. Lawrence Robinson shares the results of his ongoing genealogy research. Thank you! "About ten years ago I became interested in genealogy. My guess was that my mother’s line would be very interesting, to say the least. That’s why I chose to do what I felt would be the easier and faster of the two lines—my father’s. After spending eight years investigating, digging into, and researching his line, it became apparent that he, not she, was the more interesting. My family tree is currently on “ancestry.com” and contains 7,260 family members, 1,306 photos, 263 stories, and 3,399 records. There are now 14,200 hints to be followed up on. I suppose that means that if I live to be 120 years old, I’ll be able to research them. It also means that I will be able to trace my father’s direct line well past 940 AD, which is where I left off. Aside from the online tree, I amassed 12 volumes along with a book entitled The Stricklands of Sizergh Castle by Daniel Scott. In addition to my own, I needed six copies to distribute to my siblings. One might think I went all out by making wooden mini book boxes for each set; (...and I did; handles, hardware etc.). It is so gratifying to find out what came before me. The search was a main part of the pleasure. However, after documenting my direct paternal line, the greatest joy was to find the Strickland book and find out that my own research matched it to a tee. Over the years I’ve had people exclaim that they were related to Alexander the Great, Joan of Arc, Mickey Mouse etc. Well, to my surprise, I now join with them. 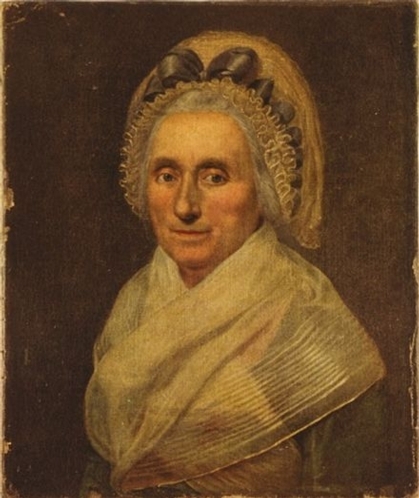 Seems as though Mary Ball Washington (George’s mother) became the second wife of Augustine Washington (George’s father). Her mother was a Strickland. 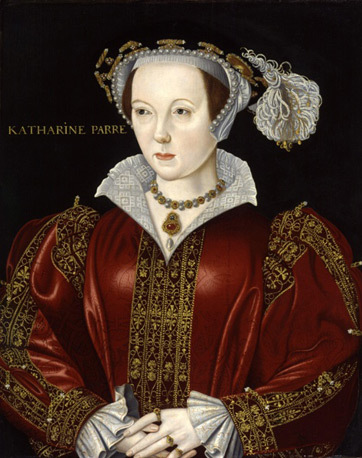 Furthermore, there’s a connection to Catherine Parr, who was Queen of England and Ireland (1543–47). She was the last and only surviving wife of the six wives of King Henry VIII, and the final queen consort of the House of Tudor. She was also a Strickland by way of her father’s mother. Catherine Parr might have been the first liberal feminist. She married four times, wrote published books, was fluent in French, Latin, Spanish and Italian, was a documented cougar, and had a yearly pension amounting to what would be over 7 million dollars in today’s money. At the age of 35 (one year after Henry’s death), Catherine became pregnant for the first known time. All of this by the age of 36, when she died in childbirth. It’s my aspiration to find the time in the future to trace back beyond Anno Domini... It seems the further back I research, the easier it becomes. I would recommend that everyone research their family genealogy... it’s better than your best birthday present." Here's another photo from the same trip. 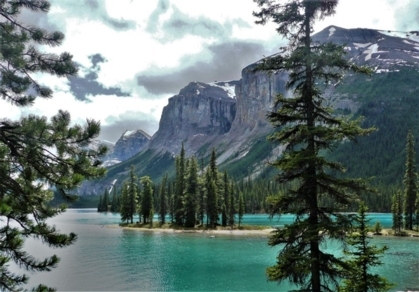 This magnificent view is of Spirit Island, Maligne Lake, in Jasper National Park. 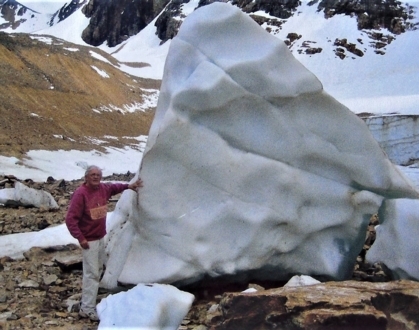 And two more from Jack's trip to Banff National Park back in 1968. Jack calls this one "Bear Begging." 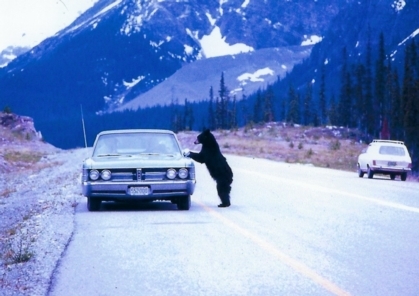 He calls this one "Bear Demanding." Jack says, "You would not see this today. 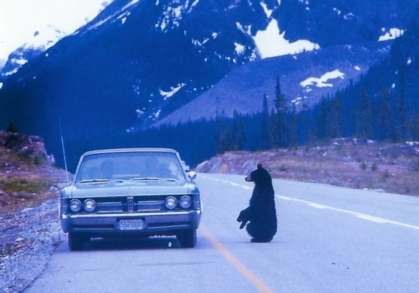 I think in most parks now they trap bears that have become too familiar with humans and take them to more remote reaches of the parks to minimize the chances that a bear would become a pest or threat to people." Surely you recognize this man. But do you know WHERE he is? 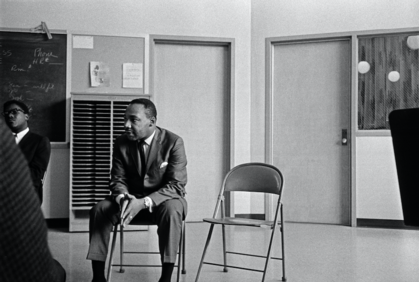 "Lost in History: Dr. Martin Luther King Jr.'s Visit to Montclair High School." 52 years ago, during a firey time in the United States and around the world, Dr. Martin Luther King, Jr. made a controversial visit to this very town, possibly at the peak of his notoriety. Just two years prior to his assassination and untimely death, King arrived in Montclair, making town history by stopping into the Montclair High School band room. 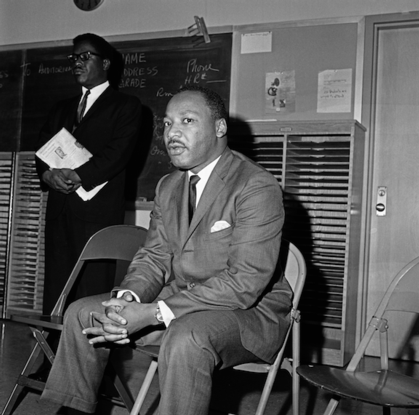 The article tells how Dr. King went to Montclair to speak to a local church congregation. But so many people in the larger community wanted to hear him speak that he appeared first in the high school gym, and later spoke to the church congregation in the high school auditorium. As he waited in the MHS band room before going onstage, protesters were demonstrating outside on Park Street. A plaque commemorating Dr. King's speech at MHS has been placed in the band room. Thank you, Lawrence, for sharing the article with all of us. If you're looking for Jack Brigham's and Ralph Davidson's genealogy stories, just click on "Genealogy" in the blue sidebar on the left. If you have your own genealogy stories to offer, I'll be glad to add them any time. I moved David Appleton's story about being a Good Humor Man to "Stories from My Past," also in the blue sidebar to the left. Since we are all about 76 years old, there must be a lot of good stories from our past out there, just waiting to be told. THIS JUST IN: David has just sent a New Year's Eve story, Patsy's and the Allure of New York: Bringing in the '60s which you can also find in the "Stories from My Past" section. David says, "I'm thinking of all our classmates ploughing forth into the New Year and wishing them well. I'd like to share with them my memory of Bringing in the '60s. I hope you all find it amusing. I do, thankfully many decades removed from this experience." If you have your own stories to share, please send them to me (Linda), and I will add them to the site. If you'd like to write a memoir about a family member or friend, there's a link to a "Family and Friends Memoirs" section, also in the blue sidebar. Brad Stark's memoir of his father is in that space. Please feel free to write about someone important to you. Now that we have a clean page, there's plenty of room for new contributions from you! 1. Of the 33 responders, 27 said they would "absolutely" or "probably" attend a reunion. However, many classmates have not responded to the survey. Does this mean most classmates are not interested in a reunion? Or ambivalent? If so, should we rethink the way we have always done reunions? For example, should we "downsize" and have a dinner at a private room in a restaurant instead of renting a hall with a DJ? Join forces with another MHS class? 2. Classmates who said they would not attend explained that they did not want to travel because of health or financial issues, or because they didn't like high school very much. Some preferred to "let the past stay in the past." 3. Spring and Fall were the preferred times of year for a reunion. 4. A weekend or long weekend was preferable to mid-week. 5. Most said they would attend both daytime and evening events although some said they would attend evenings only. 6. Most said they would be able to drive to events (day or night) although some indicated that they would be more interested in excursions to places outside of Montclair if they did not have to drive. Can local classmates suggest some interesting places to visit? 7. The great majority favored casual, informal, events with open seating and opportunities to mingle and roam. 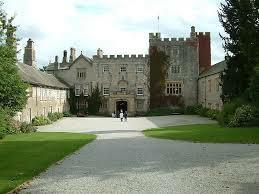 (Many people mentioned the wonderful atmosphere at our Friday night gatherings at Warren's house.) Again, can local classmates suggest suitable places for daytime gatherings? Offer a FaceTime Virtual reunion with people who can't make the trip. Hold the reunion dinner at a hotel location so people don't have to drive somewhere else. Keep the price low so that everyone feels welcome. How about having some programing on Sat. night (at dinner or cocktail party) that would mold us into a group rather than individual islands of "old" high school friends? Ice-breaking activities that would highlight individual personalities, experiences, and interest and get us moving around? One reward that I took away from previous reunions was meeting classmates with whom I had only a nodding relationship with in High School. I would like to have such opportunities repeated. We need activities to mix us up and introduce unexpected common threads. I vote for no loud music that makes conversation during the greeting period or dinner an insurmountable challenge. A balance between non-program time and group togetherness would work for me. A visit to the High School on a Friday if that could be arranged. Perhaps ask if small numbers of us could observe a class to see how technology is used in classrooms today? Or perhaps we could use a high school classroom for interesting discussions among ourselves? We have a lot of money in our class account. Should we think about contributing to the High School's Scholarship fund? Offers to help: We have quite a few people who have offered to help by phoning, emailing, texting, sending postcards to classmates, or helping in other ways to spread the word about reunion and encourage classmates to come. They are: Don Lefelar, Rick Boschen, Donna Lake Wright, Paul Doran, Gene Mazzola, Barry Hampton, Christie Calder Salomon, Rob Rutan, Michael Pecherer, and Susan Becker Knight. However, at this point we do not have any information for them to disseminate! In order to have a reunion, we need to have a group of planners who could make some decisions about when and where it will be, and what kind of activities we would like to have. For most of our reunions, a group of Montclair area classmates met togther to enjoy each other's company and plan an engaging reunion weekend. Last time, there were no physical meetings -- everything was discussed and decided by email between committee members across the country. The software system that operates this website (ClassCreators.com) also offers very straightforward FREE online systems for Event Planning (posting information, registration, taking payments, making nametags, etc.) This might be an option for classmates who would like to help and are comfortable with the computer. So far, three classmates have offered to help with some aspects of reunion planning, but we clearly need more help to make a reunion happen. Warren Ross has again offered to host a Friday night gathering at his Montclair house and reserve the golf course. Thank you Warren! Barbara Mansell Ramsay, who served as treasurer on previous reunion committees has offered to help again. Thank you Barbara! Delores Morton Munford has offered to help organize the reunion. Thank you Delores! Seventeen emails bounced after our most recent MHS '60 Update. If you have correct email addresses for any of these classmates, please let me know. (Linda.andre@verizon.net). That's it for now. HAPPY NEW YEAR TO ALL! Are you looking for old reunion photos? You can still see all of them in the "Photo Gallery" section of this website. Click on "Photo Gallery" in the blue sidebar directly under "Home Page." You'll come to a long list of "galleries." Scroll all the way down until you see a lot of square pictures with paperclips in the corner. The 2016 reunion photos are organized in two groups. The 1st "gallery" is called "2016 Reunion - Friday." The 2nd gallery is called "2016 Reunion - Saturday." Each photo gallery has up to 12 photos per page, and there may be several pages in a gallery, so be sure not to miss any. If you need help telling who's who, just hold your mouse over the photo and a caption should appear. Click on the photo if you want to enlarge it. Do you have any reunion (or other) photos to share? We welcome them all. If you want to post them yourself, click on the place at the bottom of any gallery page where is says, "Create Your Own Photo Gallery here. You should see instructions that tell you how to upload your own photos. What would you like to tell your classmates about reunion weekend? Send me your stories, thoughts, memories, and I will post them here. 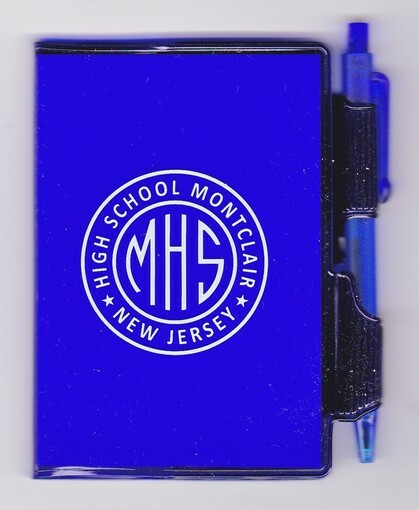 This is a "mini-notebook" that we gave out at the reunion so that everyone would have a place to jot down a name, address, or email address during the evening. It is about 3-3/8 by 4-1/4 inches and fits easily into a pocket. There are lined pages inside. We have about 24 left over. If you would like one, let me know and I will send it to you using our leftover stamps. Be sure to send me your correct address! We now have all the pages of our senior yearbook pictures posted on this website, thanks to Gene Mazzola, who brought me his yearbook to be scanned To see them all, just go to the blue sidebar on the left side of this page and click on Senior Yearbook Photos. Many thanks to John Sproston for initiating this project, and to Gene and Chris Graber for providing pages. Would you like to find out whether other classmates share your special interests or activities? For example, I teach ESL (English as a Second Language) to adult students and would love to find out whether any other classmates do the same. Let me know if you have special interests that you would like me to publicize on this website. 1. Go to the "What's New" page at the very top of the blue margin on the left side of this page. 2. Look for the gray box on the top that says "Post a Comment to the Class." 3. Write your message in the box that says "Share Your Thoughts with Classmates." 5. Click on the blue "Post Message" box. 2. Click on the envelope icon directly under the photo box where it says "Send [classmate's name] a private message." 3. When you get to the message screen, type in your subject and message in the boxes. 4. Click the blue "Send private message" box. That's all you have to do! It's easy!